Sridevi's Daughter Jhanvi to make her debut with Dulquer Salmaan? Sridevi's Daughter Jhanvi to make her debut with Dulquer Salmaan? 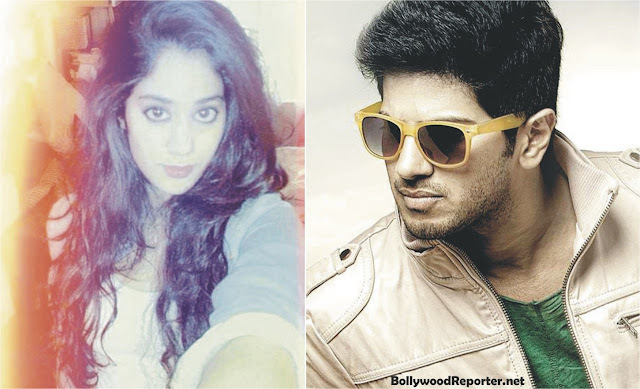 Home > star kids > Sridevi's Daughter Jhanvi to make her debut with Dulquer Salmaan? Sridevi's Daughter Jhanvi to make her debut with Dulquer Salmaan? Is Sridevi and Boney Kapoor's elder daughter ready to make her debut in film industry? Jhanvi is one of the most talked about star kids today. After watching her stunning selfies with her sister Khushi, everyone is looking forward for Bollywood debut of the gorgeous girl Jhanvi. Dream girl's daughter has been awaiting for a right script and now if we believe the sources, than she have finally found the ultimate launch vehicle! According to sources, Jhanvi is approached to play lead female opposite Dulquer Salmaan in KV Vijayendra Prasad's film. Prasad sir is father of Baahubali director, SS Rajamouli and has written the scripts of the recent blockbusters Baahubali and Bajrangi Bhaijaan. The film will be made simultaneously in Malayalam, Tamil, Telugu, and Hindi. Son of actor Mammootty, Dulquer made his debut with the Malayalam film Second Show (2012). He has ranked 7th in Chennai Times Most Desirable Men 2014 and ranked 45th in Times Most Desirable Men 2014 in India. Now it looks like Salmaan has also got a chance to work in Bollywood! Let's see what happens next?